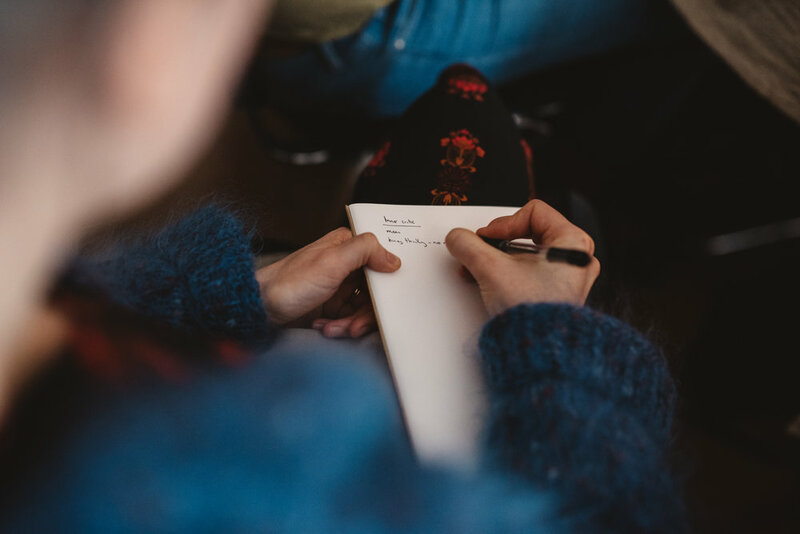 Join us for the day in the beautiful serene surroundings of Broughgammon Farm in Ballycastle as we dig into our creative ideas and find ways to move ahead with clarity and courage. If you have ideas bubbling up in you and you want to make them happen, this one’s for you. If you are stuck in a cycle of comparison, of having too many ideas, feeling like you don’t know what your next move is, or thinking that it’s all been done before - this one’s for you. If you need some practical tips to get your ideas out of your head and into action, you need to be here. If you want to take a step out and share your ideas in a supportive, hive-mind environment, you’ll be in the right place. Let’s get clear and courageous together…. This session will be interactive with teaching, mindset work and an opportunity to journal and discuss questions in pairs/small groups. Journals will be provided, just bring a pen! We’ll be treated to a beautiful homegrown lunch spread as well as coffee/tea and cakes by the wonderful Becky and there will be plenty of space during the day to take some time to reflect and exhale. It's something you feel in your gut you need to do; something that would bring you real pleasure, that would add value to your life or other peoples lives. It's something that excites you deep in your bones and you know you need to get going. But there is something in the way of it moving from an idea into action. This Assembly Session is all about finding the clarity and courage to make the next step. + what our core creative nutrients are, discovering the things that we individually need to find our flow and work best. + the main ways that we can get sidelined from clarity and courage: comparison, long-held untrue beliefs and fear of the unknown or failure. + practical ways we can dispel some of our own mindset myths and feel more free to put our ideas into action. + sharing with each other our ideas and committing to small movements that will move us on. + you have ideas bubbling up that you don't know where to go with. + you need to connect back into your desires and find some clarity. + you are stuck in a cycle of comparing yourself to others or wondering if your idea is worth pursuing. + you need to get your ideas out of your head and into some practical action. + you want share your ideas in a supportive, hive-mind environment. + you need to make space for nourishing your body, mind and soul. If any of these things are true for you - this is your time! + Full workshop + follow up notes to keep. + A delicious homegrown lunch, cakes & drinks by Broughgammon Farm. + The Assembly Community solidarity and support.